A cheque is an unconditional order addressed to a banker, signed by the person who has deposited money with a banker, requesting him to pay on demand a certain sum of money only to the order of the certain person or to the bearer of the instrument. 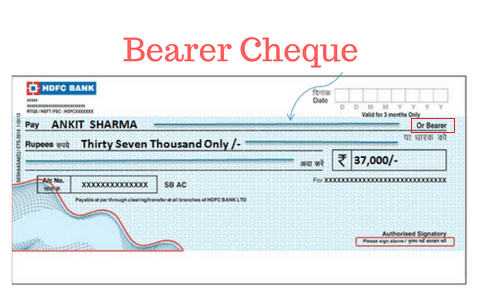 Bearer cheques are the cheques which withdrawn to the cheque's owner. These types of cheques normally used for a cash transaction. For example - Ram has a savings account in HDFC bank. He brought a cheque from his chequebook to the HDFC bank branch where he has an account. He can present the cheque to the bank and withdraw money from his account. 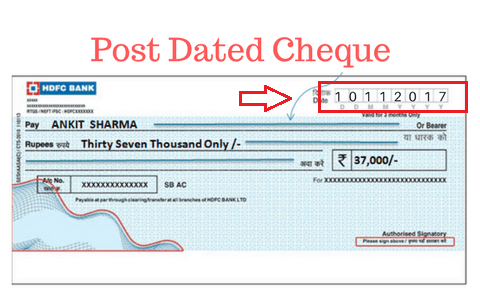 This type of cheque is known as Bearer Cheque. Order cheques are the cheques which are withdrawn for the payee(the person whose name is written on the cheque). Before making payment to that payee,cross-checks check the identity of the payee. For example - Ram has a savings account in HDFC bank. He wanted to make payment of Rs.100,000 to Sham. Ram gave a cheque to Sham, writing his name on the cheque. Sham will present the cheque to HDFC bank and he will get the cash. 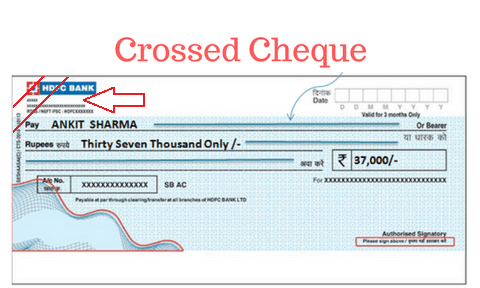 On the Crossed cheques, two lines are made on the top right of the cheque. Amount mentioned on the cheque is only transferred to the bank account of the payee. No cash payment is made. 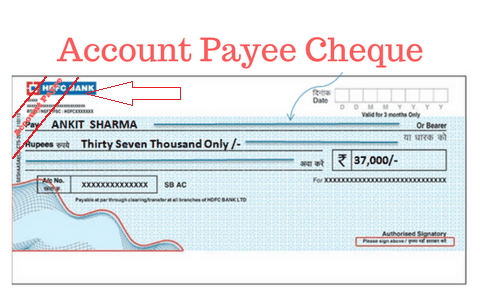 On the Account payee cheque, two lines are made with the word "account payee" on the top right of the cheque. Amount mentioned on the cheque is only transferred to the bank account of the payee whose name is mentioned on the cheque. No cash payment is made. This cheque can not be endorsed to the third party. 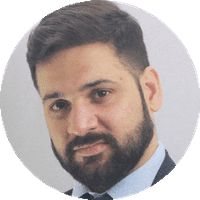 Crossed cheques can be endorsed to other parties while the Account-payee cheques can't be endorsed and funds are only transferred to the account whose name is mentioned on thechequee. In India, if a cheque is not presented to the bank within 3 months from the date written on the cheque is known as a stale cheque. For example - On 10 January 2019, If the cheque is presented to the bank on 10 April 2019, the chque will be returned by bank stating that cheque is stale. If any cheque issued by a holder to the payee for the upcoming withdrawn date, then that type of cheques are called post-dated cheque. For example - On 10 January 2019, Ram issued a cheque to Sham. Date written on the cheque is 10 February 2019. 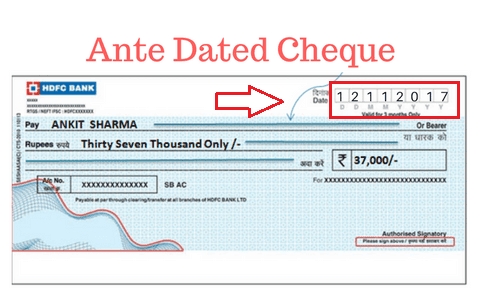 If date entered on the cheque is prior to the current date, that type of cheque is known as Ante-dated cheque. For example - On 10 January 2019, Ram issued a cheque to Sham. Date written on the cheque is 10 December 2018.
sir, plz provide material of professional knowledge as soon as possible. ibps allotted me wrong examination centre. what can i do now? Sir , IBPS po final results will be in April ? or the score will be given a bit earlier ? I said please may i come in. i said good morning mam and good morning sir. then wished the same and asked me to sit. me Told but they asked me to repeat the last line. then he said okk you told before we asked and they laughed. 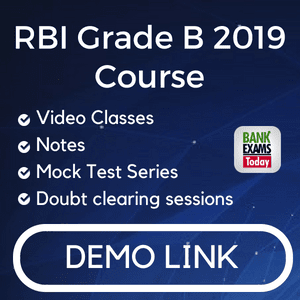 m1 Central bank of india and rbi are separate. me sorry sir it is better to be safe than wrong. me american depository sorry asian development bank .i said i thought to be adr. Thnxxx 4 rply Raman Sir..Hope so dat secnd list will come out soon..
Sir po4 ka final result kab tak aayga? ? ?